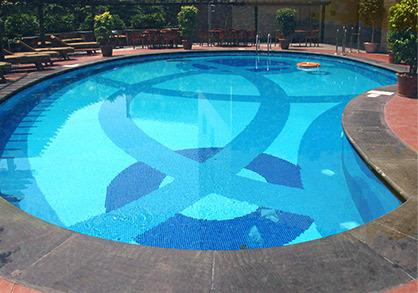 Pool Cleaning Service Goodyear: Is Your Swimming Pool Ready For The Warm Days Ahead? Is Your Swimming Pool Ready For The Warm Days Ahead? Here in Arizona, we are accustomed to mild winters. However, the same cannot be said about our summers. As spring reaches across the U.S. most states are awakening from a cold slumber, anticipating the warmth ahead. Here in the Goodyear area, though, things are a little different. Spring signals the start of much warmer days and the eventual sweltering heat of summer. As you notice the days becoming increasingly warm, you might start looking to your pool once again for comfort and outdoor fun. Here at Universal Pool Service, we offer an array of pool services including pool cleaning in Goodyear, Glendale, and Litchfield Park. We can help you prepare your pool for the summer days ahead. Check out these important tips for getting your swimming pool ready for the heat. As you can see, cleaning your pool is an involved process. 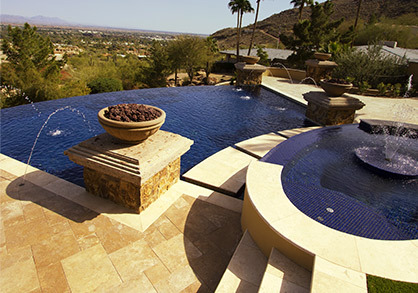 The goal is to ensure that your pool will be ready to operate the moment you want to first dive into the waters. Without a proper cleaning, you can wind up with a pool that is less than pleasant. In some cases, pool cleaning isn’t the only service you need to schedule. If your pool is in need of any repairs or maintenance services, now is the time to schedule those as well. The later you wait into the warm season, the harder it will be to book repairs. Never put off repairs as the issues can worsen, leading to further damage to your pool or unbalanced waters that are not safe to swim in. Speaking of balanced water, make sure that your pool’s chemicals are balanced properly before you stick even your baby toe back into the water. Keep in mind that you can’t base this off of sight alone. Your water might look clear and fine, but that doesn’t mean the chemicals are balanced properly. In some cases, it is obvious that you need to rebalance your chemicals. Signs of this include green or cloudy water, foaming water, or staining to your pool. When in doubt, ask the pros for help. 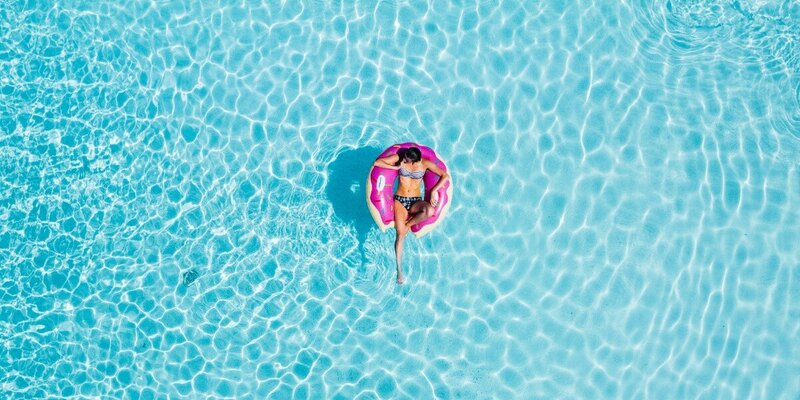 Keeping your chemicals balanced is one of the most important components of owning a pool. Hiring a professional at the start of the warm season is a great way to ensure you, your family, and your friends are safe when swimming. Once the pool itself is ready to go, spend some time cleaning up the area around your pool. From sweeping away debris from the winter months to organizing your patio furniture, take your time getting the space ready for you and your guests. In many cases, over the winter months, extra clutter was stored outside by the pool. This is particularly true if you shut down your pool during the colder months. Get rid of this extra clutter and start clearing the area. The last thing you want is to be tripping over objects around the pool. Make sure there are clear walkways to keep everyone safe. Now that you have a clean pool and a clean area around it, think about any upgrades you want to make to your poolside accessories. Do you need new patio furniture? Would you like to buy that hammock you have been dreaming of for years? Put together a true oasis. Add a table for entertainment and a grill for cooking food. Turn your outdoor space into an area you can enjoy throughout the year ahead. Finally, now that your pool is clean, the area is set up just the way you want it, consider throwing a big party to kick the new pool season off. Invite family and friends over and make it a fun event. While you might be dreading the dog days of summer, enjoy the warm spring that we are lucky to have here in Arizona. Celebrating with friends and family is a great way to christen your pool for the new season ahead. If you are in need of pool cleaning or repairs this spring, we are the team to call. 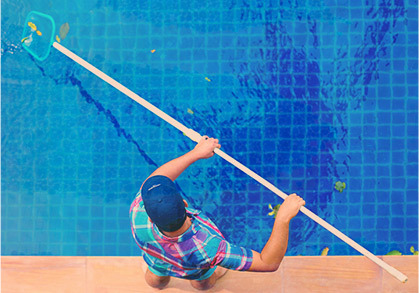 At Universal Pool Service, we can help you with everything from a full cleaning service to chemical balancing to major repairs. Whatever you need help with, we will be happy to assist you. Our goal is to ensure that everyone in our community who has a pool can enjoy it safely and worry-free. We have been keeping pools blue since 2002 and have built a quality reputation in our community. If you are interested in scheduling pool cleaning in Glendale, Litchfield Park, or Goodyear, please reach out to our team today. We will be happy to get your pool in tip-top shape for the warm days ahead.